The 2018 data show that driving distances on these seven tours increased by an average of 1.7 yards, beyond the previous year’s gain of more than 3 yards. 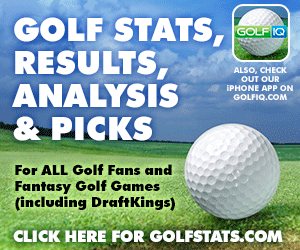 The full report, which can be found via this link, summarizes data provided by the PGA TOUR, LPGA Tour, PGA European Tour, Ladies European Tour, Japan Golf Tour, Web.com Tour and PGA TOUR Champions Tour based on available data at the time of publication. Introduced in 2015, the report includes data starting with the 1968 PGA TOUR season.The average driving distance is typically measured on two holes at each tournament and usually results in nearly 40,000 shots being measured over the course of a season on some tours. The USGA and The R&A continue to be diligent in studying the long-term effect of distance on the game of golf, a global focus first expressed in their Joint Statement of Principles delivered in 2002. In that document, the organizations reinforced their commitment to ensure that skill is the dominant element of success throughout the game, and that all factors contributing to distance would be considered on a regular basis. The 2018 report represents one set of data among the already substantial collection of information currently being studied within the context of the ongoing Distance Insights project, which was launched last May to provide a comprehensive and definitive study of the past, present and future impacts of distance at all levels of the game globally. A progress update on work conducted to date on the Distance Insights project will be delivered by the end of the first quarter of 2019. The USGA and The R&A remain on target to distribute the comprehensive Distance Insights report in the latter half of 2019. For more information, please visit www.USGA.org or www.RandA.org. About the USGAThe USGA conducts the U.S. Open, U.S. Women’s Open, U.S. Senior Open and the U.S. Senior Women’s Open, as well as 10 amateur championships and international matches, attracting players and fans around the world. Together with The R&A, the USGA governs the game worldwide, jointly administering the Rules of Golf, Rules of Amateur Status, equipment standards and World Amateur Golf Rankings, with a working jurisdiction in the United States, its territories and Mexico.The USGA is one of the world’s foremost authorities on research, development and support of sustainable golf course management practices. It serves as a primary steward for the game’s history and invests in the development of the game through the delivery of its services and the work of the USGA Foundation. Additionally, the USGA’s Course Rating and Handicap systems are used on six continents. For more information, visitwww.usga.org. About The R&ABased in St Andrews, The R&A runs The Open, elite amateur events, international matches and rankings. Together The R&A and the USGA govern the sport of golf worldwide, operating in separate jurisdictions but sharing a commitment to a single code for the Rules of Golf, Rules of Amateur Status and Equipment Standards. The R&A, through R&A Rules Ltd, governs the sport worldwide, outside of the United States and Mexico, on behalf of over 36 million golfers in 143 countries and with the consent of 156 organisations from amateur and professional golf.The R&A is committed to working for golf and supports the growth of the sport internationally and the development and management of sustainable golf facilities. For more information, visit www.randa.org.